Here you will find course maps, fun live video tours of the courses, and start times specific to each race. Also see General FAQs for other details. 3K, 5K, and 10K routes are chip timed. What does that mean? You will receive a small, reusable timer with your race kit that we will ask for you to give back at the end of the race. There will be instructions included for how to attach it to your shoe. It’s important that you wear it as described so the timing mats can record your start and end times. The 1K route is a fun run and is not chip timed. If you need a safe place to stash a small backpack or bag with dry clothes you may do so at our bag check. We will mark your bag with a small tag to match your bib number. Keep your bib number on after your race because we’ll need it to match it to your bag! Run Sage Creek is not responsible for loss or damage, so please don’t include valuables in your checked bag. There is one water station on the course ~2 km from the start, and one at the finish line. As 10K participants will run past the finish line as they do the second half of their course we ask that runners who have finished their distance access the water station from the recovery area and keep the course clear for those still running. Please bring a refillable water bottle to reduce waste at the finish line. 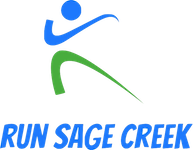 Do you live in Sage Creek? Please leave your car at home and walk to the start line at École Sage Creek School to minimize traffic in the area. If you are driving in for the race, and you know someone in the neighbourhood, make arrangements to park in their driveway. Give yourself ample time to get to the starting line! Start times are 8:00 a.m. for 1K, and 8:30 a.m. for 3K, 5K, and 10K. If you are coming in for the 3K, 5K, or 10K please considering arriving in time to cheer on the 1K participants! Do not park in school parking lots; they will be blocked off and used for the starting corral, sponsors access for loading/unloading, and volunteer parking. 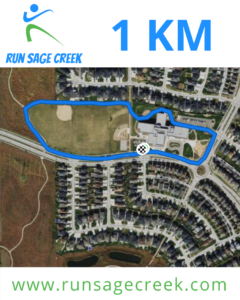 Street parking is available along Sage Creek Boulevard, and Des Hivernants Boulevard (even though the race routes are here, runners will be on the sidewalk so parking is okay, but follow all posted parking signs). Lot parking is available at the Qualico parking lot at 1 Dr David Friesen Drive. This short loop starts and finishes in front of École Sage Creek School, and is a mixture of sidewalk and trail. Anyone can run or walk the 1k - there is no age minimum or maximum! All registered 1 km race participants will receive a reusable bag, t-shirt, and finisher medal, but this race is not chip-timed. One parent or guardian aged 12 or older may run with younger children without being registered for the 1 km Fun Run, but they will not receive the bag, t-shirt, or finisher medal. All unregistered parents and guardians who accompany children on the course will be required to sign a course waiver at race kit pickup. This loop starts in front of École Sage Creek School, finishes on the path between the school and Ron Duhamel Park, and is a mixture of sidewalk and trail. All registered 3K race participants will receive a reusable bag, t-shirt, and finisher medal. This race is chip-timed. This loop starts in front of École Sage Creek School, finishes on the path between the school and Ron Duhamel Park, and is a mixture of sidewalk and trail. All registered 5K race participants will receive a reusable bag, t-shirt, and finisher medal. This race is chip-timed. 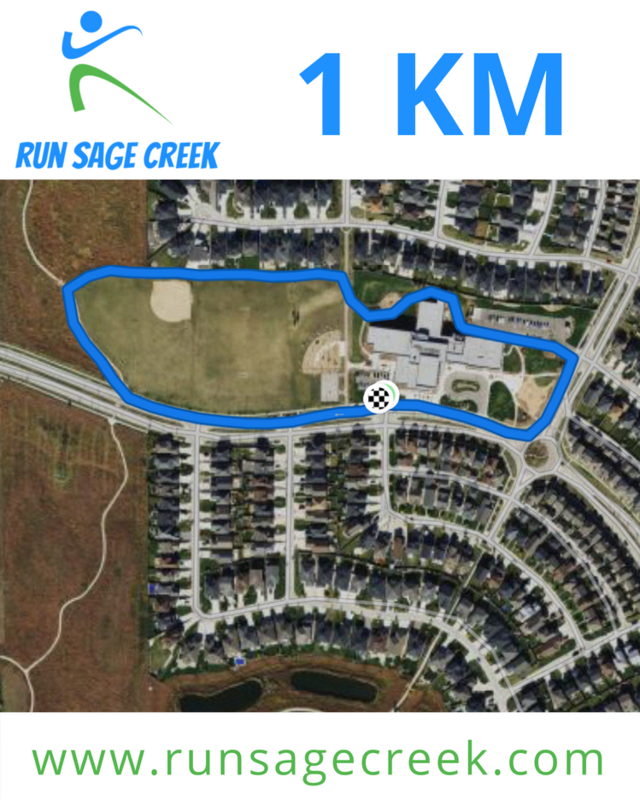 This loop is two times around the 5K route, starts in front of École Sage Creek School, finishes on the path between the school and Ron Duhamel Park, and is a mixture of sidewalk and trail. All registered 10K race participants will receive a reusable bag, t-shirt, and finisher medal. This race is chip-timed.